Campaigners reacted with fury last night as it emerged prison chiefs were offered an alternative to the controversial Milton of Leys site for the new Inverness jail. Highland councillors are now facing mounting pressure to reject plans to erect the building next to the city suburb. 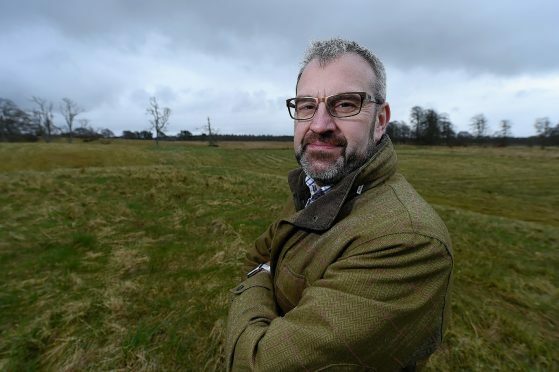 Local businessman Andrew Smith – who owns 92 acres at nearby Easter Bogbain – offered to sell a plot on the other side of the A9 to the Scottish Prison Service (SPS). And although the SPS has already said no to the move, local Independent councillor Jim Crawford has urged it to rethink the decision. Last night, Steve Gordon, of the protest group Highlands Against the Proposed Prison Location, demanded to know why 11 other potential sites for the development were also discounted. Members of the local authority’s south planning applications committee will today consider a pre application notice from the SPS. The controversial preferred site, near homes and a primary school at Milton of Leys on the south side of the city, has been met with a wave of opposition from locals and hundreds of people outwith the city. Their concerns have ranged from public safety to the image of a huge jail at an entry point to the Highland capital having a potentially devastating impact on tourism. Campaigners fighting the proposal have accused the SPS of failing to consult. It is understood that 12 locations were considered. It is widely accepted that a replacement jail is needed due to the inadequacy of the existing, aged and cramped Porterfield facility in the Crown area of Inverness. The SPS last night declined to say if it would reconsider its preferred option. A spokeswoman said: “We have been seeking a site for the construction of HMP Highland since October 2008. A rival campaign supportive of the SPS proposal has surfaced online in recent weeks. Local SNP councillor Ken Gowans last night criticised the SPS for e-mailing committee members on the issue. A commercial agent has lobbied them, highlighting the Scottish Government’s “infrastructure investment plan” which outlines the prison service’s commitment to replacing unfit jails to “contribute to a safer, stronger Scotland”. Mr Gowans said: “It’s questionable whether they should be trying to lobby councillors ahead of any planning application. Highland Alliance city councillor Donnie Kerr, a member of the Inverness Prison visiting committee, said switching to the other side of the A9 would not solve the site problem. Two public consultation events are planned over the next six weeks, the first on May 26 at Inshes Church in Inverness. Before the second event, SPS representatives will attend an Inverness South Community Council meeting on June 6. It emerged earlier this month that the Milton of Leys proposal had been allowed to proceed without a detailed study of its impact on the local environment. The council has ruled that the SPS does not need to submit a traditional environmental impact study because a screening assessment carried out on behalf of the SPS found the site was “unlikely to support protected or notable species”.